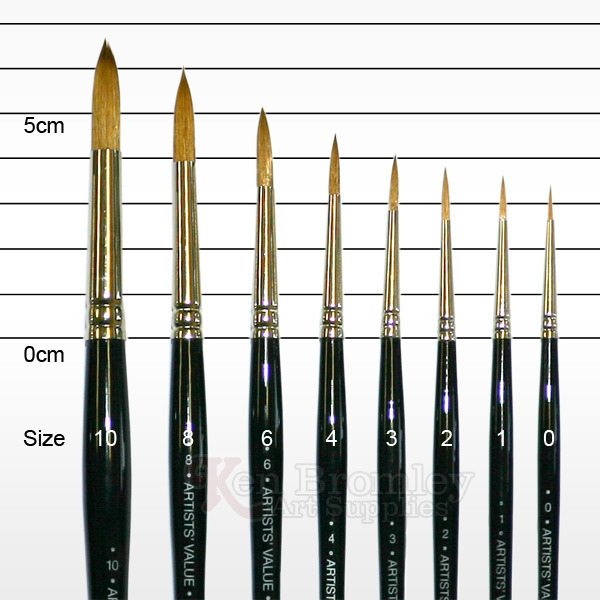 These are the ultimate synthetic watercolour brushes. Crafted from a blend of differering hair diameters, they give a combination of colour holding, precision and endurance. 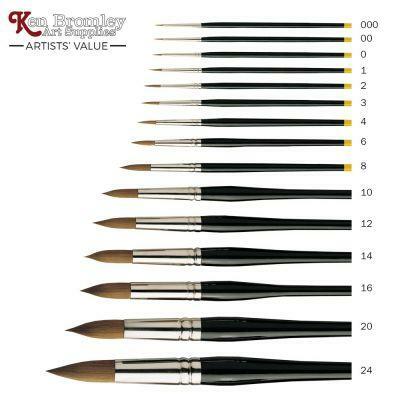 Ranging from a size 000 to 24. it is the most comprehensive range in the Artists' value series. Here you are sure to find a suitable size for your purpose! 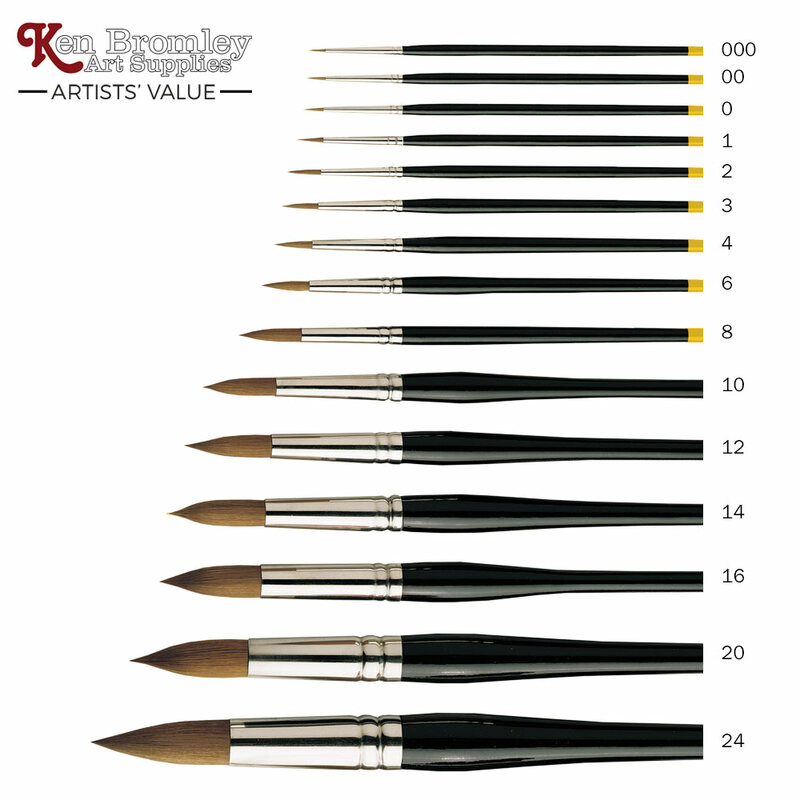 These brushes are exceedingly hardwearing and unlike sable, will not damage easily. Seamless nickel ferrules, black polished handles with a yellow and gold tip.